The National FFA Organization and AgriNovus Indiana are bringing the convergence of innovative technology, science, research and entrepreneurship to FFA members attending the 2018 National FFA Convention & Expo through the inaugural Blue Room. “Today’s FFA members are our future leaders in the industry,” said Mark Poeschl, chief executive officer of National FFA. “Through agricultural education and FFA, our members are bringing their skill sets to the 21st century; we know they will be the change in our industry." The National FFA Organization and AgriNovus Indiana are bringing the convergence of innovative technology, science, research and entrepreneurship to FFA members attending the 2018 National FFA Convention & Expo through the inaugural Blue Room. The Blue Room is the kickoff to Blue 365, an initiative that will bring this same innovation into classrooms and impact more than 650,000 members nationwide. FFA student members are the future leaders of the food industry, which is relying on this generation to meet unparalleled challenges to feed a growing world population. 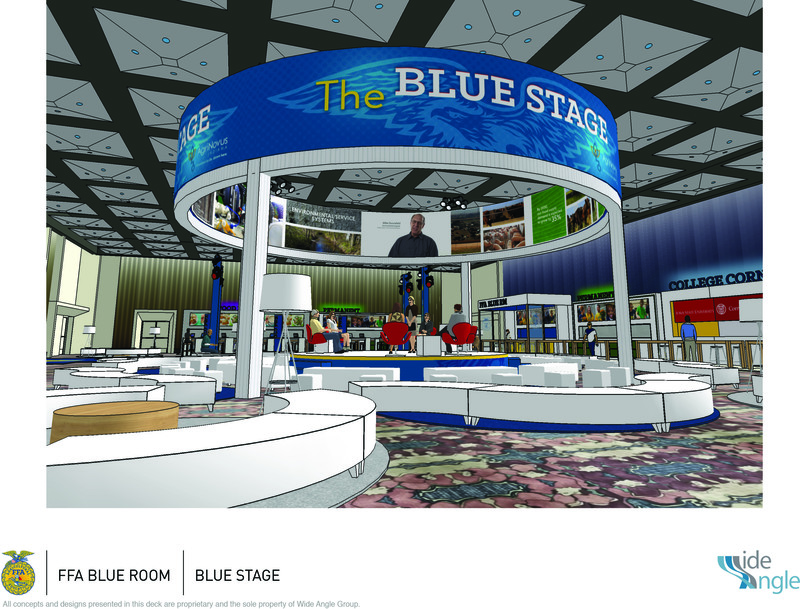 Through the vision and commitment of AgriNovus Indiana, the National FFA is unveiling the Blue Room experience at the national convention and expo—the nation’s largest student convention—hosted in Indianapolis Oct. 24-27. The Blue Room is the organization’s comprehensive vision for Blue 365, which serves as the latest catalyst for evolving sustainability, innovative efficiency and preparing the future leaders who will solve the world’s critical agricultural challenges. This partnership and industry support exemplify why Indiana is the premier location to showcase innovation and cultivate talent within the agricultural sector. To view the live stream of the press event, click here. The National FFA Organization is a national youth organization of 653,359 student members as part of 8,568 local FFA chapters in all 50 states, Puerto Rico and the U.S. Virgin Islands. The FFA mission is to make a positive difference in the lives of students by developing their potential for premier leadership, personal growth and career success through agricultural education. The National FFA Organization operates under a federal charter granted by the 81st United States Congress and it is an integral part of public instruction in agriculture. The U.S. Department of Education provides leadership and helps set direction for FFA as a service to state and local agricultural education programs. For more, visit the National FFA Organization online at FFA.org and on Facebook, Twitter and the official National FFA Organization blog. 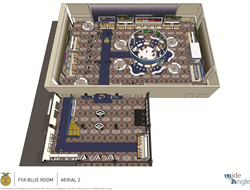 The Blue Room will offer opportunities for FFA members to delve a bit deeper into innovation and technology.